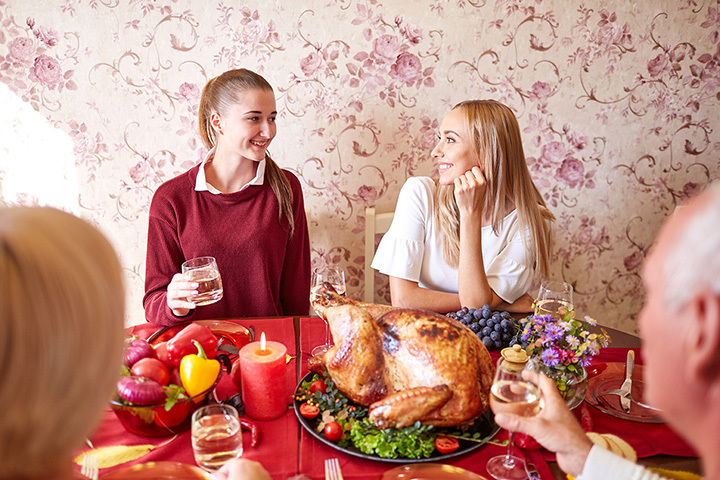 In the historic state of Delaware, Thanksgiving is all about eating too much turkey, dazzling holiday light shows, Black Friday shopping, and of course, celebrating it all with your close friends and family. Get ready for a robust holiday as we present our holiday guide for the quintessential Thanksgiving in Delaware. So, to get fired up for the big Thanksgiving feast, we are recommending that you kick it old school with Jessop’s Tavern. Not only is the spot steeped in history—the building was constructed in 1674—but the servers are all dressed in authentic Colonial-style garb. Get English pub fare, old American dishes, and 350 types of beer in bottles. If you find you are in town a few days before or after Thanksgiving, then head down to the Bob Carpenter Center at the University of Delaware and watch the 87ers play NBA-G League basketball. Nicknamed the Sevens, the 87ers are an affiliate of the Philadelphia 76ers and going on five years calling the First State their home. In the morning you will be off to find a turkey. How about one that is fresh and ready to pick up for Thanksgiving? At T.A. Farms, turkeys are organic, free of antibiotics, and full of flavor. But you have to order early, as they usually sell out. Plus, the family-operated farm has been bringing farm to table for over three generations, doing it "the all-natural way," so you can give back to the local economy and the environment at the same time. Next, you’ll be off to the bakery. Bing’s is a family-owned bake shop known for gourmet desserts, pastries & bread, and cakes. Founded in 1946 by Russell and Selina Bing, it is self-described as “Delaware’s longest running bakery,” and it has been faithfully serving up the sweet stuff in the First State for over 70 years. Also, get mouthwatering Coconut custard pie, pecan pie, pumpkin pie, apple pie, fruit pies, and more. It is finally Thanksgiving Day, the turkey is in the oven, and the fixings have all been prepped. What’s next? How about a turkey day run? The annual Thanksgiving Day MS Run includes a 10K and 5K, a 5K walk, and a kiddie fun-run led by Santa and Mrs. Claus. After the run, participants can enjoy refreshments and take photos with Santa. Now for some entertainment. Lewes is sure to keep you in the holiday spirit with a drive along their 1.5-mile “Light Spectacular” lane. Featuring more than 90 illuminated displays, this is a dazzling experience. And when you reach the end, be sure to visit “Christmas Village” at the Cape May-Lewes Ferry Terminal, where you will find a giant Ferris wheel, live music, an ice rink, and Santa himself. And no Thanksgiving is quite complete without a Black Friday shopping experience. Lucky for you, the Christiana Mall provides tax-free shopping with brand-name stores including Apple, Microsoft, Nordstrom, Cabela's, Michael Kors, American Eagle Outfitters, Target, William-Sonoma, and much more. Plus, not that you were hungry or anything, but you will find restaurants like Cheesecake Factory, JB Dawson's, and Brio Italian Grille. Nothing says Thanksgiving more than giving back to the community. Meals on Wheels of America operates more than 5,000 independently-run local programs across the country with the help of over two million volunteers. They are committed to supporting their senior neighbors to “live healthier and more nourished lives,” but volunteers are needed to deliver meals throughout Delaware. The only Native American museum in the state of Delaware, the Nanticoke Indian Museum is a great place to visit to get a better understanding about the history of the Nanticoke tribe. This museum is listed as National Historic Landmark and displays a variety of artifacts passed down from elders. View incredible arrowheads, pottery, axe hammers, and other magnificent hand-made creations. Nothing signals the end of a great holiday like a glass of great wine. Get warm mulled wine to lighten your spirits and take the edge off the winter chill. Nassau Valley Vineyards is Delaware’s self-proclaimed “first and only award winning farm winery.” And every Sunday through mid-December they will host a winter farmers market that will include a dozen vendors and feature locally-grown produce, teas, pastries, mushrooms, pasta, kettle corn, homemade pickles, wine, and more.